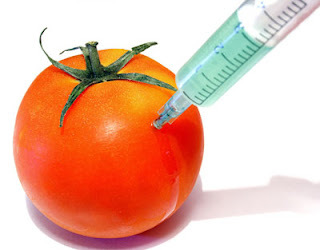 After reading about President Obama appointing the former VP of Monsato as the senior advisor for the FDA and how some Monsato campuses have removed GMO foods from their cafeterias, the battle over GMO foods and our right to either be aware of it or ban it has become widespread. Unknown effects on human health. If nothing else, we the consumer should be given a choice to be aware of what kind of products we are purchasing. One site I found that does just that is Non GMO Project. Something a bit more frightening, Monsato has engineered corn to withstand Round Up and more recently corn resistant to drought, but there are now weeds now immune to the powerful Round Up herbicide. Now Dow has engineered a new strain of corn that can withstand its even more powerful herbicide that should eradicate the Round Up immune weeds. It's become a vicious cycle it seems. Because of my own views of living and eating in a way more akin to our ancestors, I avoid anything modified or processed. Sam Y. is a Personal Trainer, Coach, Performane Enhancement Specialist, Corrective Enhancement Specialist, Pilates and Yoga instructor, and holds multiple certifications. He is also an avid Martial Artist, training in Brazilian Jiu Jitsu, Kickboxing, Boxing, and MMA. He is also the author of the popular fitness blog All Out Effort as well as the popular martial arts blog Inner BJJ. You can find him in the Los Angeles area personal training his clients, or at home annoying his wife, or on Facebook at his personal fitness page.